As Manny Pacquiao prepares to square off against the man that has already given him a very hellacious 24 rounds of boxing action in Juan Manuel Marquez, Nike has released their Pacman collection just in time for their 3rd fight on November 12th. 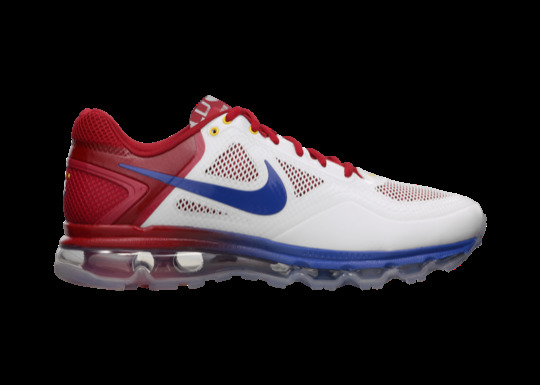 This Nike Air TR 1.3 trainer shoe is the highlight of the collection as it is a very solid piece of athletic footwear. There is also some nice touches such as the fight date and Manny’s face emblazoned on the insoles. Look for the MP shoe at select Nike retailers.